Food, wine, and more food. I need to leave this country before I weigh 5000 pounds! The city is very different from Rome. Naples is very dirty and trash is everywhere. Tons of it. Rome was clean and the people there we awesome. In Naples it is the opposite. 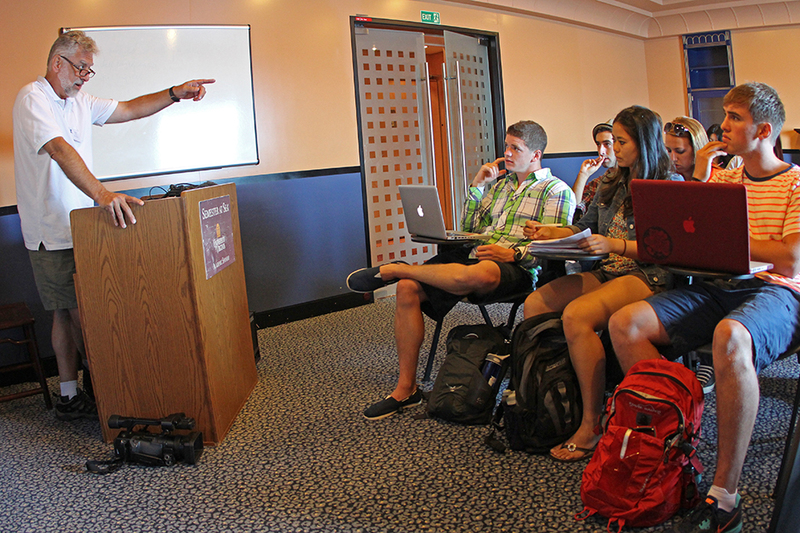 Semester at Sea represents a unique opportunity for me as a documentary filmmaker and teacher. Great documentaries are made by filmmakers with passion for the stories they tell. 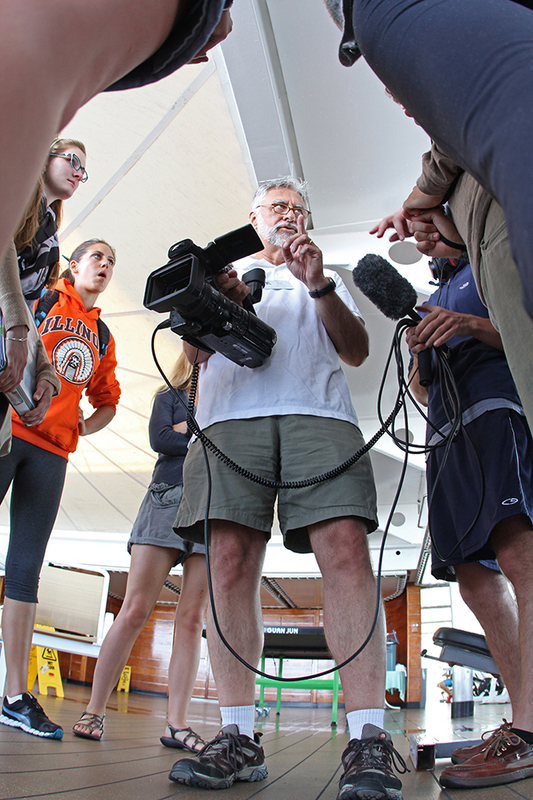 And no young filmmakers are more passionate than the students of Semester at Sea. 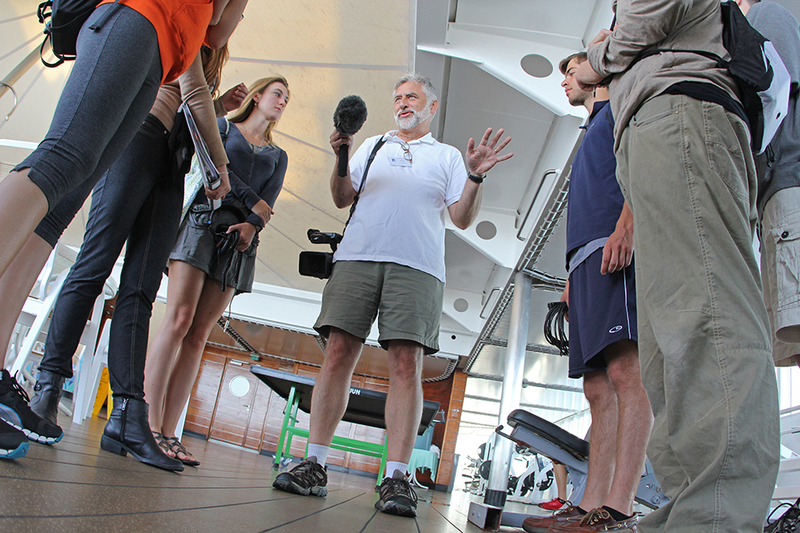 The summer 2012 voyage provides a remarkable context for a course in documentary film. We have class daily and informal teacher/student interactions throughout the day. 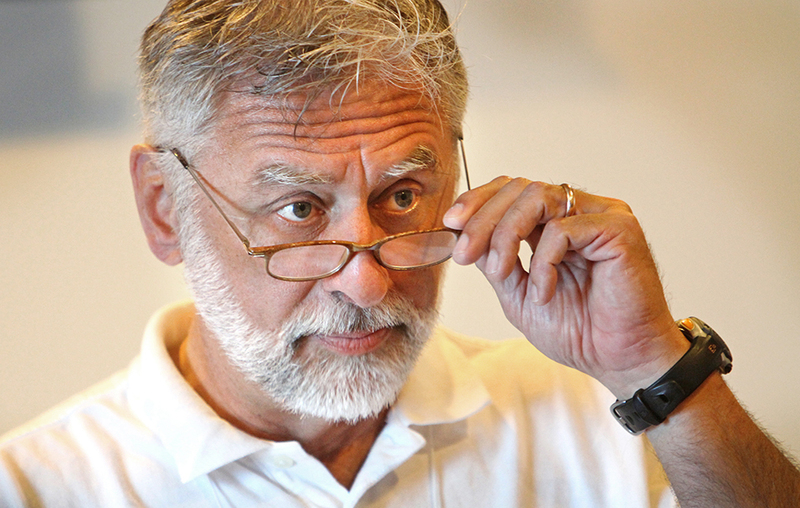 Documentary filmmaking is more than an academic subject; it is a way of looking at the world. Our floating “academical village” provides the perfect setting. Of course, our Mediterranean voyage also offers a wealth of true-life stories that are the basis for my students’ films—stories of vibrant cities, inspiring art and architecture, and fascinating peoples of ancient cultures. This semester I’m also asking my class to document their own lives as students on our voyage of discovery. 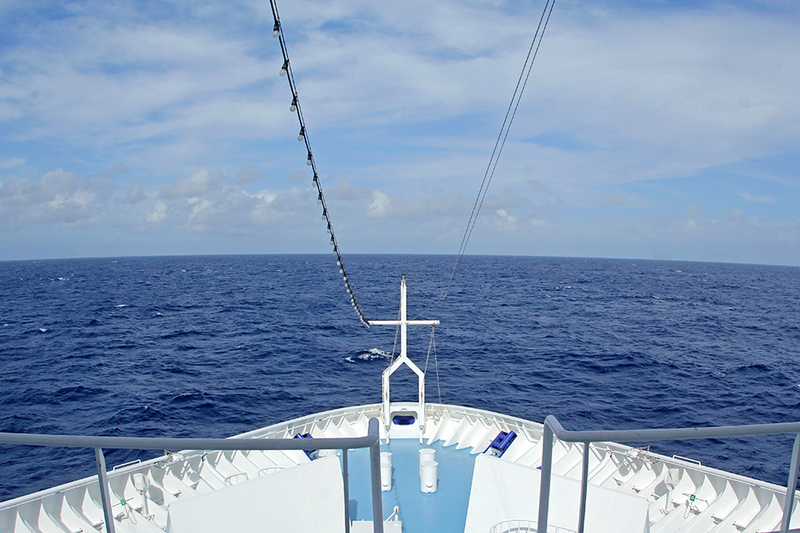 I remind them that Robert Flaherty, the creator of the first documentary film, was both an explorer and a filmmaker. And I encourage them to embrace both roles. 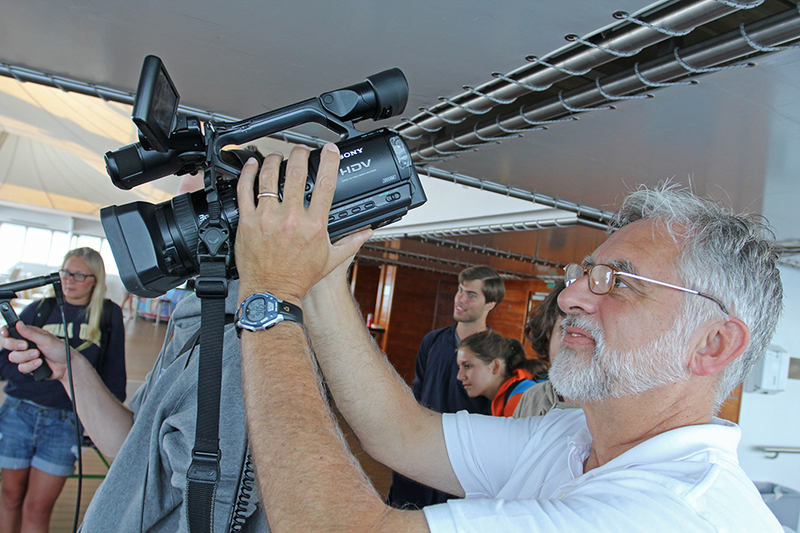 Paul demonstrates camera and lens operations that are used in documentary filmmaking. Different aspects and shooting styles are discussed as students ask questions about aperture and depth of field. Wow, tons of things to do before I depart on my voyage with SAS 2012. I have been talking and having phone/e-mail conversations with the creative team in Charlottesville, VA. I will be working with this” team” for the next few months at sea. They seem really super cool and ready to create some awesome work for The University of Virginia. I will be creating photo essays and picture stories for the web site and blogs. Copyright © 2019 Russ Bryant. All rights reserved.